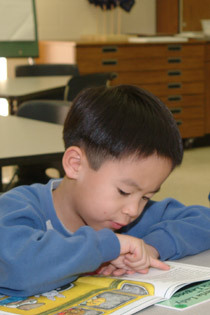 Early literacy instruction in the school and community is an area of national emphasis. Effective early literacy instruction has been a focus of educational reform since the first reports about Head Start programs in the early 1970s, and many universities and P-12 school districts are developing programs to enhance Early Literacy instruction. Additionally, students who complete the Early Literacy Certificate Program will be well on their way to completing a Nebraska Pre-Kindergarten-12th grade Reading Specialist Endorsement, should they wish to also pursue that designation.